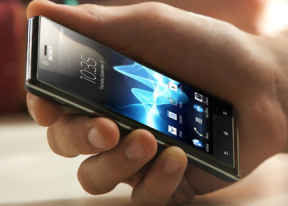 The Sony Ericsson Xperia J comes with a solid set of organizing options, including a document viewer. The app in question is OfficeSuite and it has support for viewing document files (Word, Excel, PowerPoint and PDF, including the Office 2007 versions). The Pro version (a $15 update) can also edit documents. Reading documents is quite comfortable and panning is blazing fast. There's built-in file browser and cloud storage integration (Google Drive, Dropbox, Box and SugarSync).